Hi there! Welcome to Tommedia - group of designers and developers based in Fife, Scotland. 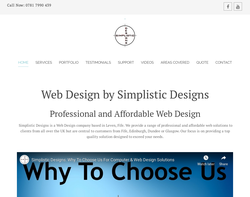 Web design is our core business, but we're not stopping at designing your website. To compliment your website we will design your logo, business card, flyer, leaflet or poster. In addition, we offer complete hosting service and domain registration. By doing so, we will create an integrated identity for your venture. We can work from scratch or re-design existing material. We work closely with you to understand your business model and help you to achieve your business goal. We always strive to exceed your expectations and that�s why we have so many returning clients. As you probably guessed by now, it's all about YOU! Web Activations Ltd is a one stop e-commerce business solution. At WAL we supply computer hardware, web design, web hosting, Broadband and VOIP telephones. At Hotel Hot Spots, we supply hotels with internet access. Web Activations Ltd formed on the 30th of September 1999, operating from their new base in Ayr, Scotland. 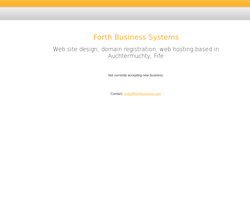 Over the first year of business, we analysed all the enquiries and sales and decided to relocate to the outskirts of Kirkcaldy in Scotland, where we could prove more effective in targeting companies requiring web design work in Edinburgh, Glasgow, Dundee and Stirling, the hub of Scottish business. This strategic location move has put us at the forefront of web design, enabling our company to respond more effectively to the high demand of sales coming from the business sector. We program in Java, HTML and Flash and a multitude of bespoke packages which range from Microsoft, Macromedia to Adobe. * We specialise in producing simple, low-cost but effective web-sites for any size or type of business. * Our clients range from small one-person businesses to major multi-national conglomerates. We offer a range of competitively priced creative website design and development solutions. 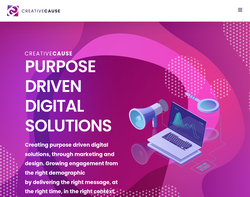 Whether your business is starting out or seeking a brand/website redesign, we have the experience and resources to deliver a cutting edge project to expand your business potential. From full project WordPress and Joomla based website design, to microsites and design enhancements for existing sites, we are here to help and make your web messages work. We manage several website for customers and can work on a one-off design and build project or provide a full service solution to meet your needs.